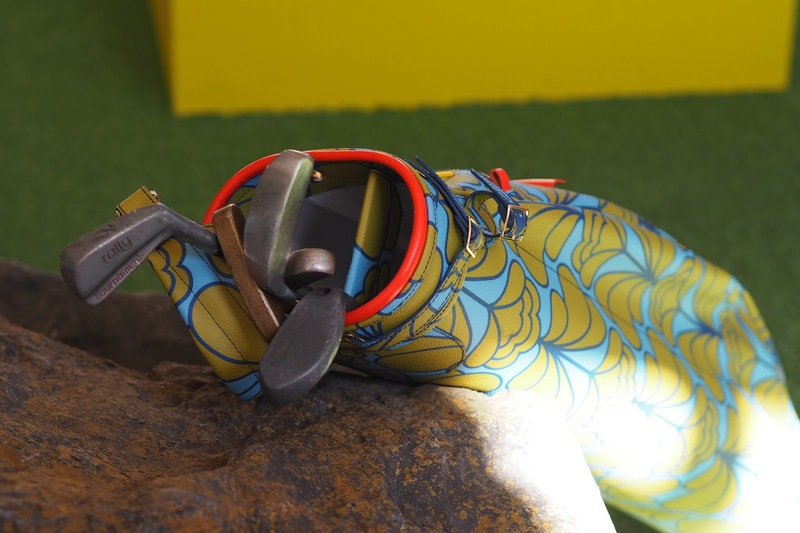 London Fashion Week kicked off last week in a new location, no longer at the picturesque Somerset House, but instead the streets of SoHo – it was more about the industry itself rather than the glossy image. 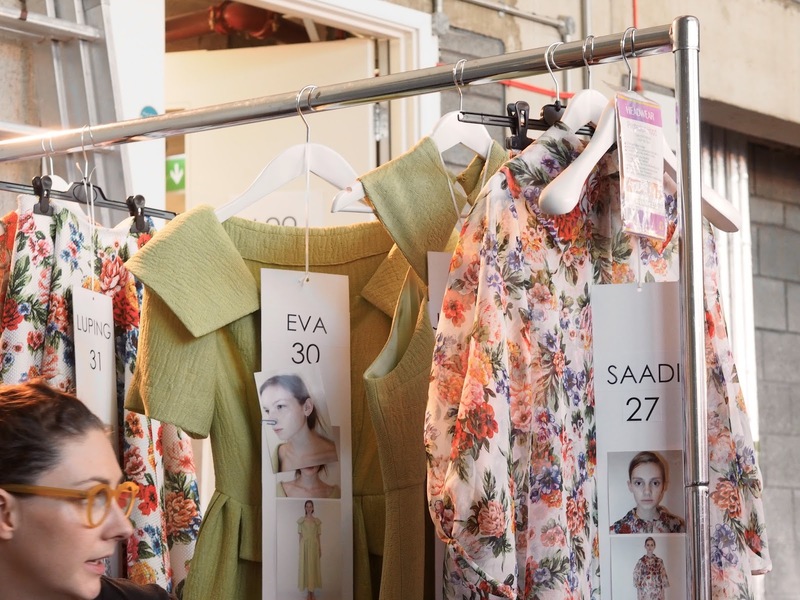 But look a little closer and the glamour is there, along with the blood sweat and tears of the designers and teams who work so incredibly hard to make Fashion Week happen. 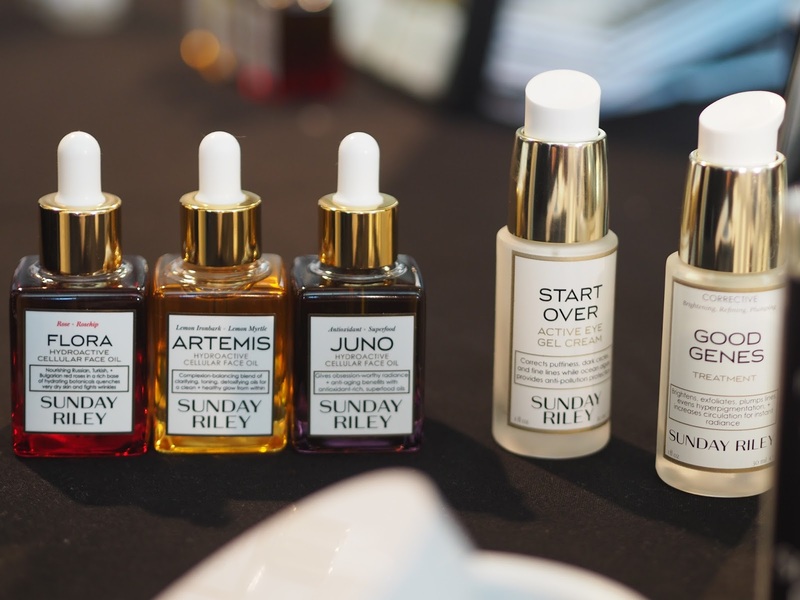 This year I was overwhelmed to be invited backstage at some of the most fabulous shows that LFW has to offer, to catch a glimpse of the collection before it sashayed down the catwalk, and to discover the makeup and hair trends that we will all be lusting for in Spring Summer ’16. 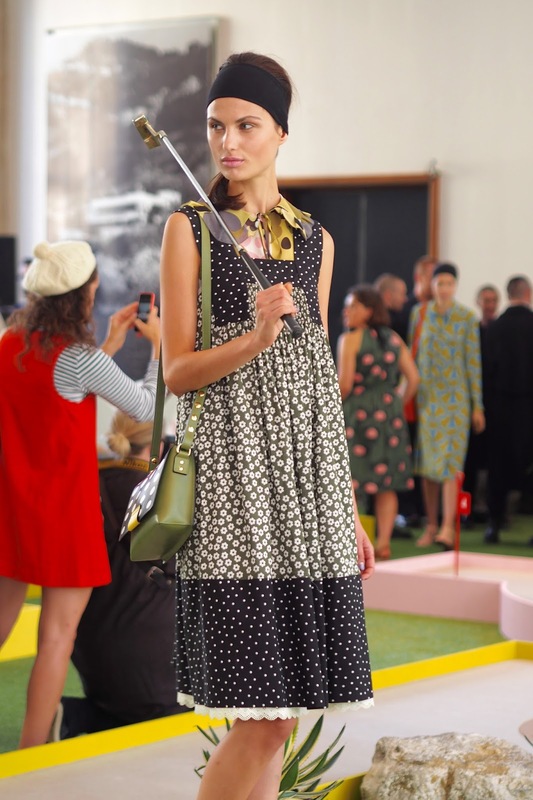 I absolutely couldn’t miss the Orla Kiely presentation, the collections are always teeming with beautiful prints and textures, and the presentation is always astoundingly creative; in previous years we’ve seen the models dance through 60s offices or exploring a Safari park, but this season, an entire mini crazy golf course had been set up in one of West London’s most fabulous venues. 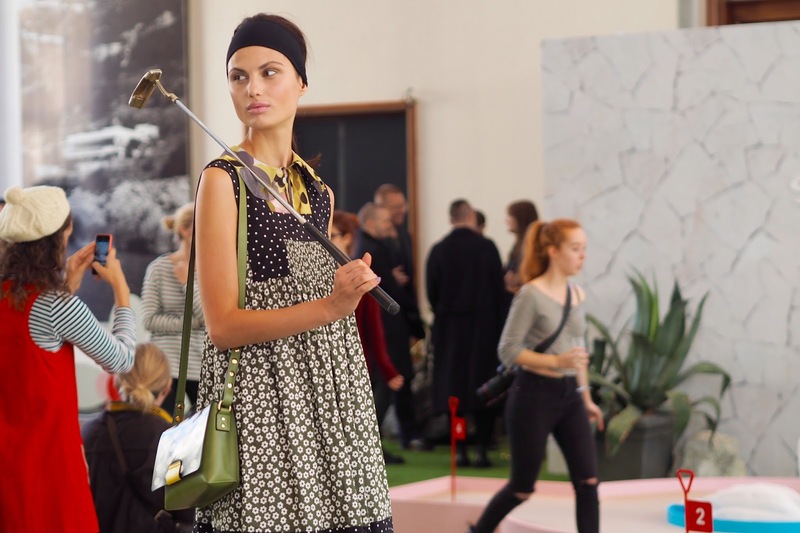 We munched on golf-ball cake pops as the models stylishly putted their way through the course, laughing and smiling from hole to hole, and perfectly showing off the vibrant collection. 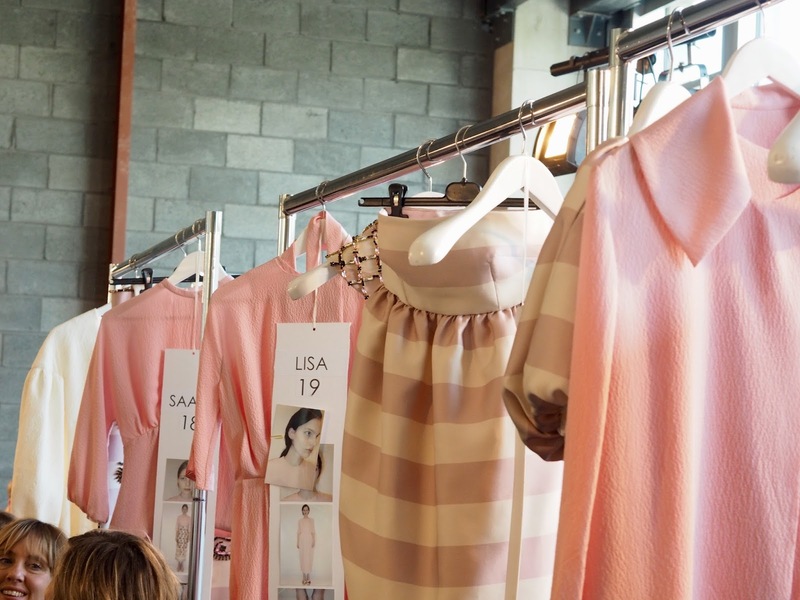 The range had a psychedelic 60s / 70s vibe, with pastel details mixed with some earthy tones, and details including lace, leather, and larger than life collars. 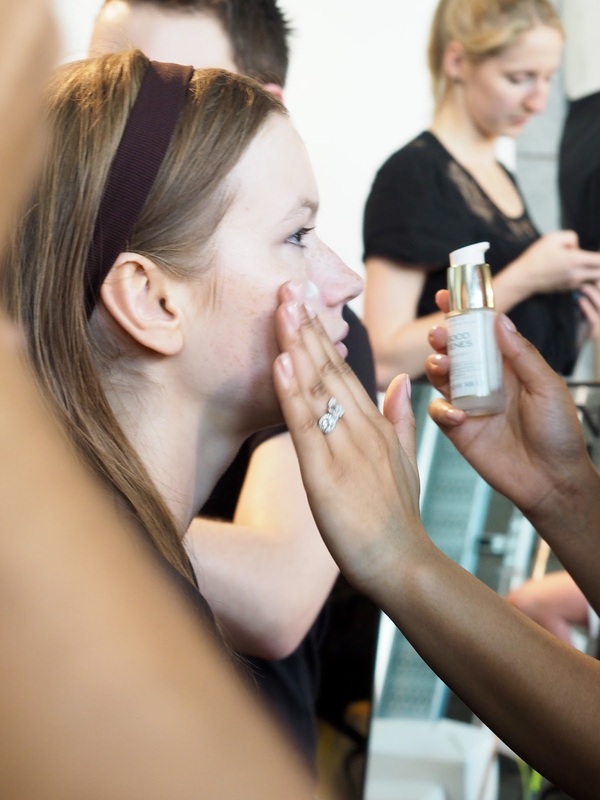 Backstage at Emilia Wickstead, I witnessed the girls being prepped and primed ready for their moment on the catwalk. 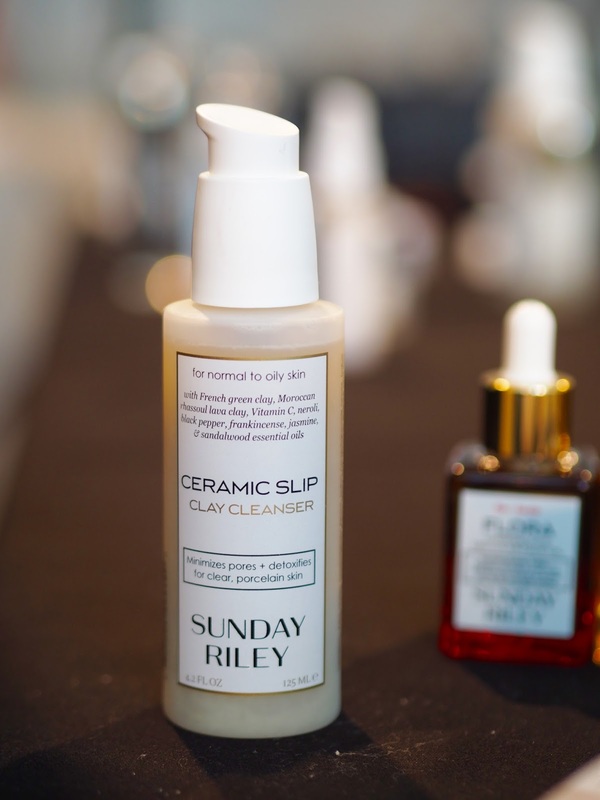 Models skin is often stressed and agitated after constant makeup changes and lack of a proper skincare routine, so Sunday Riley gave the girls a mini facial to bring back their glow before the makeup was applied. 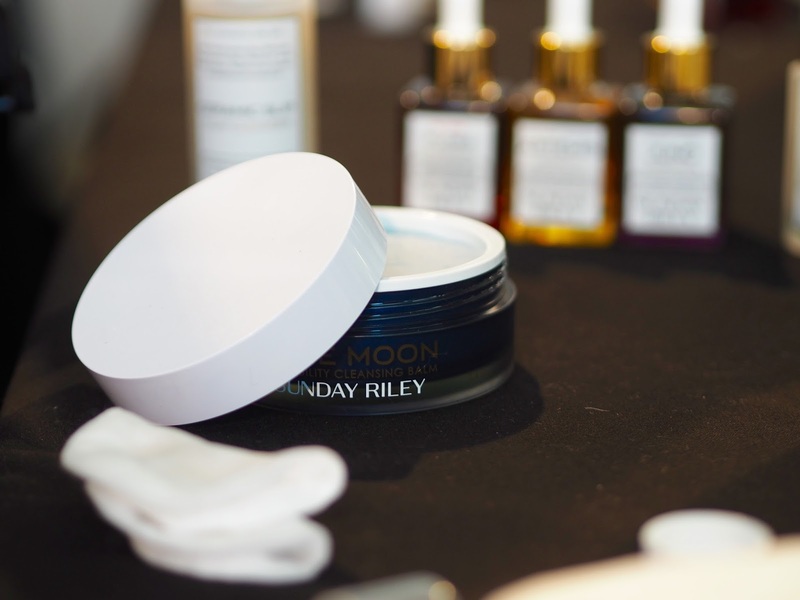 Using products from their new Pro range, firstly the skin was cleansed with the brand new Blue Moon Cleansing balm to remove any makeup traces and impurities from the skin, before a second cleanse using the new floral cleanser, and finished with the matching toner. 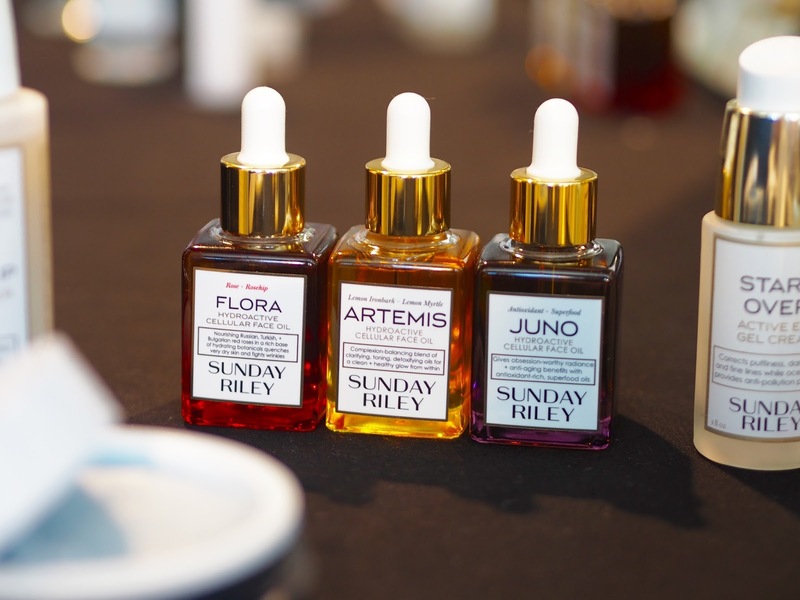 Depending on the model’s skin type, the makeup artists then chose from Sunday Riley’s range of oils and serums to give a luminous and healthy finish to their skin. 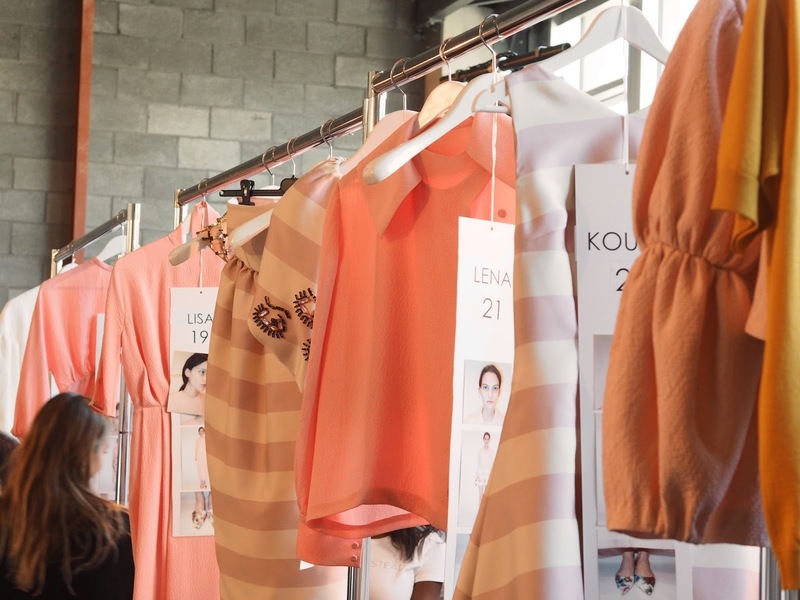 The collection itself was a blend of apricot, tobacco and strawberry hues, with clusters of beaded embroidery in the shape of an eye – a definite nod to 50’s femininity. Girly silhouettes were created with buttoned-up shirt dresses, ladylike blouson overcoats and an enlarged collars were worn with matching pointed-toe flat shoes. Perfect for a lady who lunches! 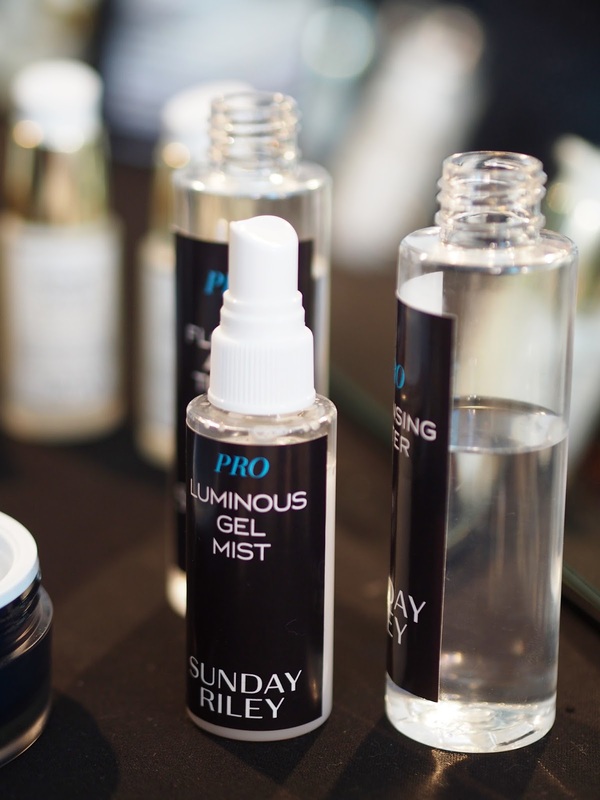 More daily coverage of London Fashion Week is coming your way, as well as what I wore on each day, be sure to let me know in the comments if this is something you enjoy seeing on Fashion Mumblr!